Europe is, and always has been a traveling surfers dream. Follow Mark as he travels from Newquay to Taghazout in Morocco, a well-trodden surf trail since the 1960s. Mark teams up with fellow pro-surfers where together they surf the countries’ best waves and meet national heroes of the sport. The Endless Winter; Surfing Europe is a forthcoming feature length documentary about the classic Euro surf trail of the 60s and 70s, due for release in 2017. Before the feature film comes out, six online episodes are being released that will introduce just a handful of the stories and characters that Mark found on the road. 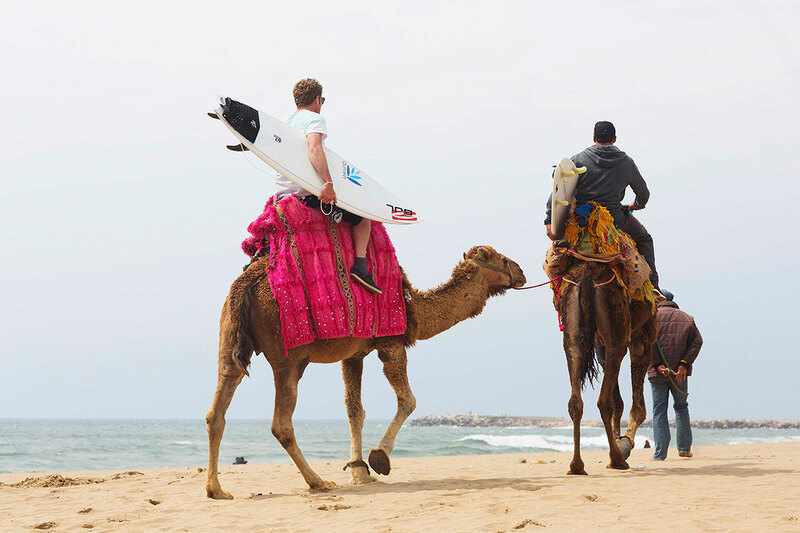 In ‘Mission Morocco’ Mark travelled to Kenitra in Northern Morocco to team up with pro surfer and old friend Abdel El Harim. Having spoken to older travelling surfers before going, Mark knew that soldiers posted to a US military base in the city had tried surfing there in the 1970s so he wanted to find a local surfer who might have memories of this. Cue, Reda Hammoumi – local surfer, restaurant owner and ridiculously good talker! Reda took the team to the spot where he first saw the surfing soldiers and recalled how it inspired him and his friends to ape surfer style and get in the water. He tells the story beautiful and newly found archive footage really brings the story to life. The classic trail went from England to Morocco via France, Spain and Portugal. Surfers from America, Oz and The UK could be found travelling across Europe and spreading the good word of surfing as they went.